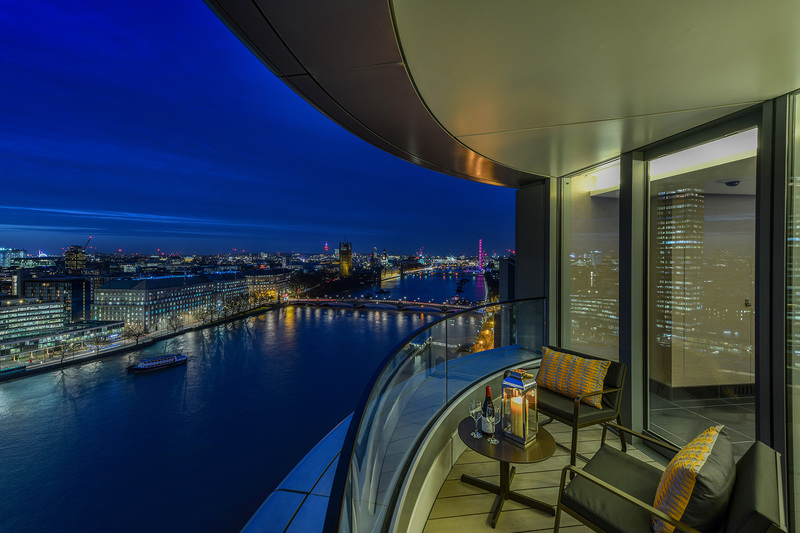 The Corniche is a stunning new riverside development offering a selection of luxurious one, two and three bedroom apartments and penthouses boasting magnificent views of some of London’s most iconic landmarks. The towers, which are between 15 and 27 storeys high, will contain a total of 253 generously-proportioned high-spec one, two and three bedroom apartments and penthouses with floor-to-ceiling glazing offering unrivalled views of the capital’s landmarks. The Corniche is located in the London Borough of Lambeth and situated on the southern stretch of Albert Embankment, adjacent to the River Thames. Situated opposite Tate Britain on the Albert Embankment, the Corniche apartments promise to be a uniquely spectacular development in the newly created Nine Elms district of London. Designed by world renowned architects Foster & Partners, the Corniche has a sinuous and elegant footprint that echoes the curves of the river Thames and is a display of architectural mastery and skill. 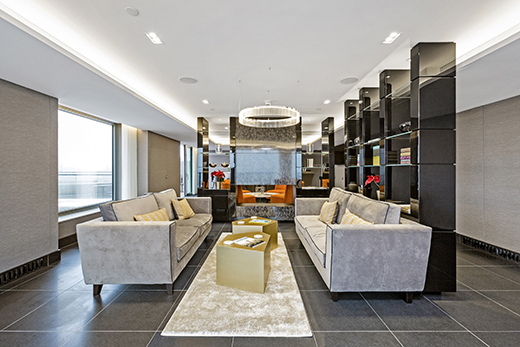 Its individual layout offers a wide selection of suites, one, two and three bedroom apartments and penthouses. Each finished to the highest standard, no less than you would expect from a world leading design team. 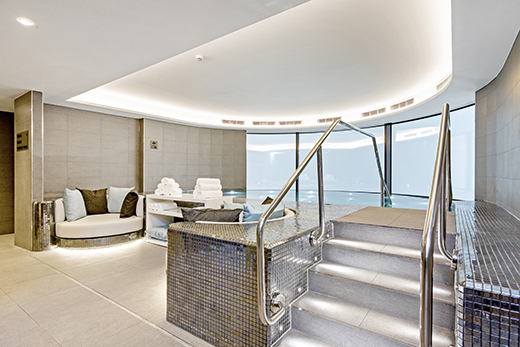 As well as all the usual amenities a development of this quality offers; 24 hr concierge, underground parking etc, the Corniche also boasts an infinity pool, spa rooms, screening room and an exclusive 19th floor resident’s club lounge. 20-21 Albert Embankment has for the last half a century been the site of Hampton House, a dull unassuming office block which has been vacant for many years. The Albert Embankment has for many years represented the faceless, pedestrian facet that every city must have to function. Recent intelligent discourse has however finally recognised that the river Thames should be regenerated into a destination for recreation and living. The revival of this area harks back to its heady pre-Victorian days when the Vauxhall Pleasure Gardens brought in thousands of visitors and the area was a mix of commerce and culture. 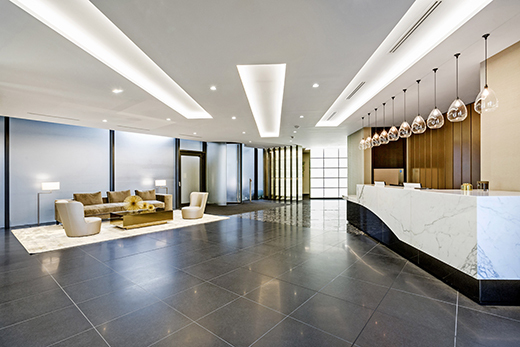 The Corniche apartments are significant symbol of this renewed vigour for development. The panoramic glass towers exhibiting a feat of engineering that recalls England’s industrial heyday. While it is well known that the Doulton pottery factory was located on nearby Black Prince Road, less well known is Glasshouse Walk, situated just behind the Corniche, and named after the decorative glass factory once sited here. Manufacturers of specialist glass, the factory was founded by the Duke of Buckingham, a close ally of Charles II, who benefitted commercially by securing a ban on much specialist glass being imported. As a result Vauxhall was well known for its glass industry from the 1600’s and beyond. In more recent history, Vauxhall was the proposed site for ‘The Crystal Span’, a glass bridge spanning the river Thames from Vauxhall to Pimlico. Put forward in the 1960’s by the Glass Age Development Committee, the idea for a seven storey, ‘horizontal skyscraper’ included a six-lane highway over which was an ice rink, commercial space, a gallery that was earmarked to become the new Tate as well as residential apartments and a roof garden. In the context of today’s engineering and super structures this does not sound totally implausible. However in the context of a 1960’s brutalist concrete zeitgeist, the Crystal Spans £7 million price tag (£124 million today) was thought too expensive. Certainly it puts into perspective the proposals currently being discussed to create a new pedestrian and cycle bridge being built as part of the Nine Elms development programme. The Corniche has been designed to provide maximum enhancement of its environment for residents. The curvaceous shape and three stepped towers accommodate a variety of layouts from spacious suites to substantial penthouses. The mix of configurations means that many apartments have an individual footprint and utilise the space and natural light. The panoramic windows of each living room are a key selling feature. Unlike flat glazed windows which requires you to be ‘at the window’ to take in the full view, panoramic windows allow the occupier to admire the cityscape view from the comfort of one’s sofa. The result is a widescreen cinemascope vista that also enables the suns path to fill the room with daylight. In the evening, the interiors recessed lighting and coffered ceiling (in selected apartments) create an intimate, yet contemporary living space reminiscent of those wonderful Manhattan apartments seen in classic Hollywood films. Certainly the Corniche would appeal to Hollywood’s elite or indeed anyone who wishes to live like a star. It combines the discreet, professional elegance of the best hotels with the practicality and autonomy of domestic living. Corniche residents appreciate the finer things in life, whether they be bachelors seeking a one bedroom apartment close to the City, or a family needing a Central London home close to the many excellent private schools, the City’s financial district and the environs of Chelsea. Foreign buyers will like the global mindset of the Nine Elms District yet still close to the quirks and ‘grit’ that make up authentic London living. While not yet completed the Nine Elms redevelopment is well under way. The inception hospitality group, famed for their fashionable, tongue-in-cheek restaurants such as Maggie’s, St Bart’s and Bunga Bunga have already confirmed their intentions to open two new bars and restaurants. Gordon Ramsay’s latest restaurant, London House has already opened on Battersea Square and rumour has it, fashion designer Victoria Beckham, has been eyeing up sites on Nine Elms as the headquarters of her fashion label. St James the developer of the Corniche, Riverlight and Merano residences have also confirmed their intention of relocating their head office into part of the commercial space of the Corniche. While Nine Elms promises to become a creative, commercial and residential hub, London would not have maintained its ‘capital of cool’ mantle for so long without also delivering the unexpected. Yes, all the famous sights and attractions are on your doorstep but so is the esoteric Cuming Museum. On the very ‘urban’ Walworth Road, the Cuming Museum is home to the unusual personal legacy of Edward Lovett. Lovett was a chronic, chronicler of London life and his collection is made up of mementos, talismans and lucky charms passed down by generations of Londoners. Bermondsey Antiques Market, just up the road, may attract modern day Londoners looking to build up their own legacy or perhaps seeking a piece of Vauxhall made glassware. Admirers of contemporary glass can also visit Peter Layton’s Studio also on Bermondsey Street, Layton’s work has had a string of notable collectors including the Duchess of Kent and Elton John. Situated directly opposite the Tate Britain on the newly named Albert Embankment Plaza this striking Norman Foster designed, landmark riverside development has started to complete and the first residents have in fact already moved in to their luxury apartments. 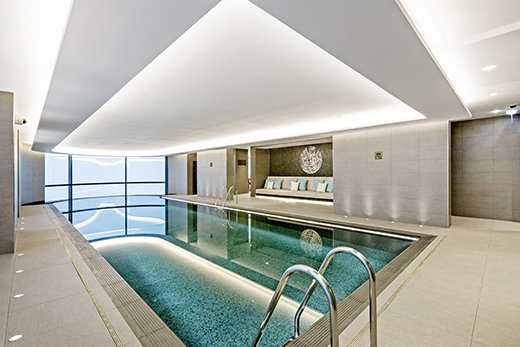 The stunning facilities are all now up and running including the pool, spa, gym and Residence Lounge on the 19th floor with spectacular views of The Houses of Parliament and Big Ben. We have some exceptional deals available for both sales and rentals so please do contact us for further information and to arrange viewings. And The Corniche – three eye-catching towers created by Foster + Partners – will not disappoint. Lord Norman Foster’s celebrated architectural practice is responsible for the design of iconic buildings all over the world. The London-based firm has won more than 600 awards since its inception in 1967 and has topped the AJ120 programme – an annual survey of the best architecture practices in the UK – for the past four years. Previous successes include HSBC’s headquarters in Hong Kong and London, the Imperial War Museum’s First World War galleries and the 50-storey United Nations Plaza in New York, while earlier this year Sir Norman collected a Twenty Years of Excellence Award in recognition of the practice’s contribution to British architecture and its achievements over the past two decades. Not to be confused with the Doha Corniche – a waterfront promenade in the capital of Qatar – developer St James has described Foster + Partners’ new design on the Albert Embankment as “a building to look at and look out from”. When complete in 2017, the exterior of the high-rise buildings will be a sea of curved balconies that mirror the flow of the river below, while the interior will convert the development’s elliptical character into curved forms that marry the site’s Art Deco heritage with the best of modern luxury. Clues to the luxury amenities on offer to residents, which include an infinity pool, spa, state-of-the-art fitness centre complete with personal trainers, private screening room and bar, 19th-floor club lounge with terrace, secure underground parking and a 24-hour concierge, will reveal themselves on the approach to the mixed-use development. 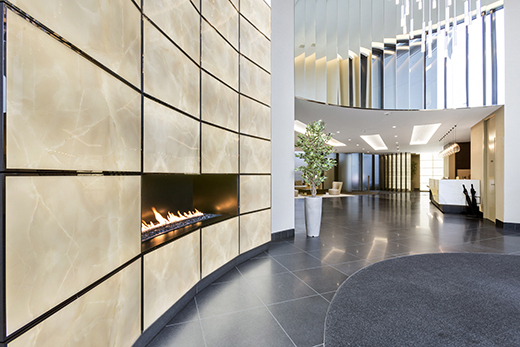 A sweeping driveway and piazza complete with water feature and seating will take residents to a lobby containing statement lighting, commissioned artwork and backlit onyx. Inside the open-plan apartments, residents will have multipoint TV outlets and wiring for HD digital TV. But it is not just their high specification that is creating demand for apartments in The Corniche. 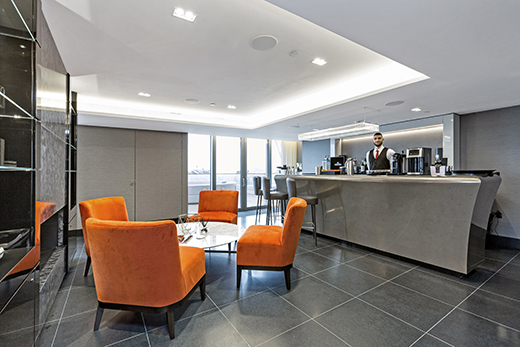 The development’s location on the historic Albert Embankment means residents have quick access to the whole of central London, including the financial district of The City and the West End, while major international airports are less than an hour away. Attractions within walking distance of The Corniche include the South Bank – London’s leading cultural destination – and the city’s new diplomatic quarter of Nine Elms. When this £15bn regeneration scheme is complete by 2020, Nine Elms will be home to the US and Dutch and embassies – plus about 16,000 new homes, 1.5m square feet of retail space, 2.5m square feet of office space, restaurants and leisure attractions, a school, nurseries and healthcare facilities centred around Battersea Power Station. Two new Tube stations are also under construction connecting Nine Elms to the 3km extension to the Northern Line, which has prompted both China and the United Arab Emirates to investigate moving their embassies to the area. This level of investment, which eclipses the £9bn cost of the 2012 Olympics site in east London, promises to deliver significant long-term benefits, not just in terms of property values but also in demand for rental properties within easy reach of both central London and the new diplomatic quarter. Garton Jones expects demand for the best luxury homes in this area to far outstrip their supply. Please contact our Nine Elms Office on if you wish to learn more about opportunities to buy an elegant apartment in The Corniche and experience seamless luxury at its best while owning a residential asset that will increase in value. Alternatively, please fill in the form below.